VIENNA, February 8. /TASS/. Kiev’s decision not to open polling stations at Ukrainian diplomatic missions in Russia at the upcoming presidential polls violates constitutional rights of millions of Ukrainian citizens, Russia’s Permanent Representative to the Organization for Security and Cooperation in Europe (OSCE) Alexander Lukashevich said. According to the Russian diplomat, this absurd decision was taken under an invented pretext. "We consider that as discrimination and violation of constitutional rights of millions of Ukrainian citizens who are staying in our country, and as a breach of Ukraine’s liabilities under the Copenhagen document," he said at a meeting of the OSCE Permanent Council. "As a matter of fact, it is a blatant attempt by the ruling regime to influence the outcome of the elections, since many Ukrainians in Russia - and it is secret to no one - are critical about the current Ukrainian authorities and their policy. Such an approach calls to question the legitimacy of the entire electoral process in Ukraine. 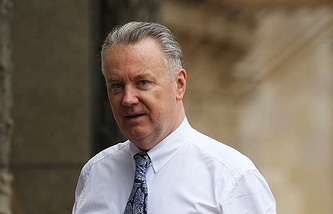 The solution offered by the Ukrainian authorities - to go to vote in neighboring countries - looks like a sheer travesty, bearing in mind long distances and serious expenses," Lukashevich noted. Presidential elections In Ukraine are scheduled are scheduled on March 31. On December 31, 2018, the first day of the presidential campaign, Ukraine’s Central Election Commission (CEC) closed all the five polling stations in Russia, namely in Moscow, St. Petersburg, Rostov-on-Don, Yekaterinburg and Novosibirsk. It said that Ukrainian nationals who are staying in Russia would be able to cast their votes at polling stations in neighboring Georgia, Kazakhstan, and Finland.